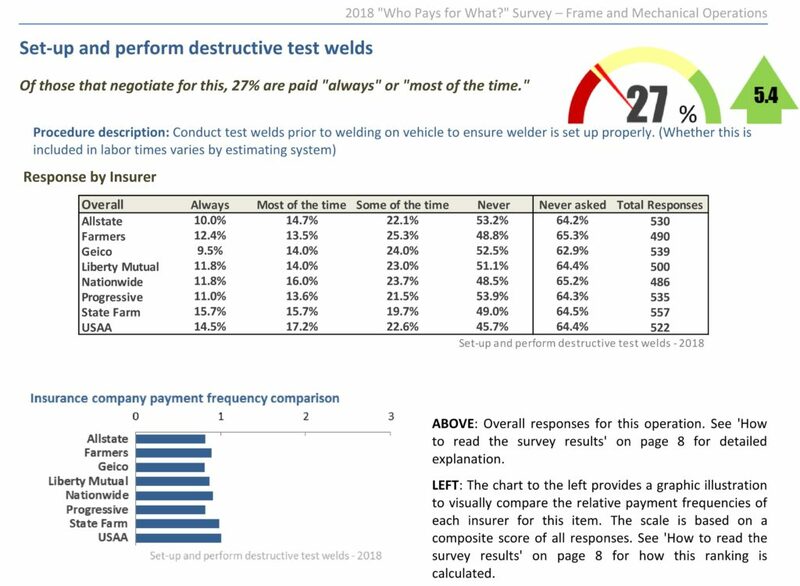 CCC’s 2018 estimate databases revealed fewer than 1 percent of all repairable vehicle appraisals contained a manual entry for a destructive test weld despite the procedure often being required. It’s just common sense as well. You should never practice welding on a customer’s car, as Collision Hub CEO Kristen Felder points out. And even an automatic welder still demands a physical destructive test, according to welding expert Toby Chess (Kent Automotive) and Vehicle Collision Experts CEO Mark Olson. Bill Montville of Pro Spot distributor Collision Correction Equipment explained last year at one of Olson’s classes that a computer declaring a weld OK merely had checked to see if the necessary amperage was delivered. That didn’t mean the weld would hold, according to Olson. The correct amperage applied through a mushroomed tip would produce a weaker weld, he said. Collision Advice CEO Mike Anderson in 2018 said every OEM he works with requires the test welds. The comments came during a webinar that highlighted how FCA demands the procedure. An earlier Anderson webinar pointed out a similar requirement for Toyota. Toyota alone represented 14.63 percent of the U.S. market in 2018, according to GoodCarBadCar. FCA had 12.98 percent. CCC’s “Crash Course” pointed out that more than 1 percent of the industry might be performing test welds — they just weren’t including them on an estimate. “That’s the hope, right?” lead author Susanna Gotsch, a CCC analyst and director, said during an interview earlier this month. More than 60 percent of the hundreds of repairers completing Anderson and CRASH Network’s July 2018 “Who Pays For What” study reported never asking eight of the nation’s largest insurers to pay them for the work. CCC highlighted this data as well in the “Crash Course” discussion. The voluntary nature of the Collision Advice-CRASH Network study raises the possibility that it’s capturing more informed repairers. CCC’s data covers a much wider swatch of the industry. So OEMs, insurers and customers shouldn’t discount the possibility that many shops just aren’t test welding at all, and Gotsch agreed that some shops’ welders probably weren’t doing it. Perhaps they felt the tests were unnecessary because of overconfidence in their ability or a sense that their shop’s vehicle mix wasn’t new enough to warrant the tests, she said. The average repairable vehicle in 2018 was just 5.9 years old, according to CCC. The average totaled car was just 9.66 years old. So a shop’s notion that its customers’ cars are too old for test welds is probably a fallacy. FCA, for example, has required such test welds for more than a decade at least. A 2006 Weld Bonding Guide back when the company was still DaimlerChrysler contains similar destructive testing instructions to the body repair manual for the advanced mixed-material 2017 Pacifica — including applying adhesive for STRSW test welds. As far as the belief that “I can do it right,” are you willing to bet the shop on that? Is your boss? 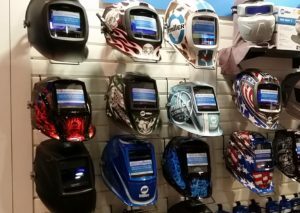 The “Who Pays?” study found that shops who did bill for test welding were more successful in collecting.